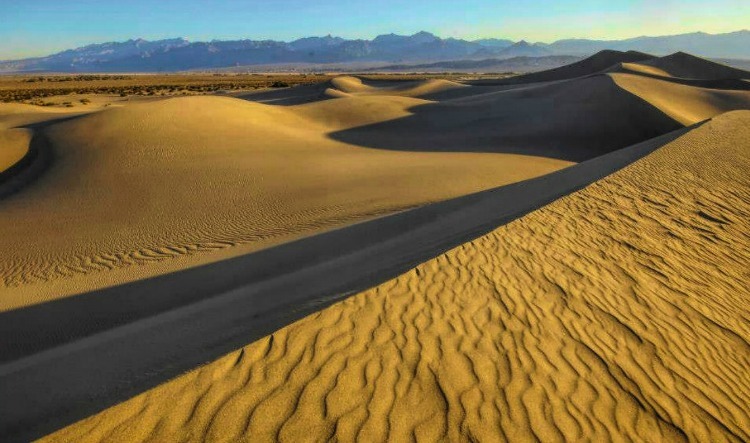 With a name like that, Death Valley National Park may not lure the crowds as one of the lowest, hottest and driest places on earth. Its harsh climate is challenging, but the land itself delivers one of a kind diverse scenery. If you are into surreal landscape, this park is for you. Take your time to see different sections of the park for its own unique character and beauty in this desert. 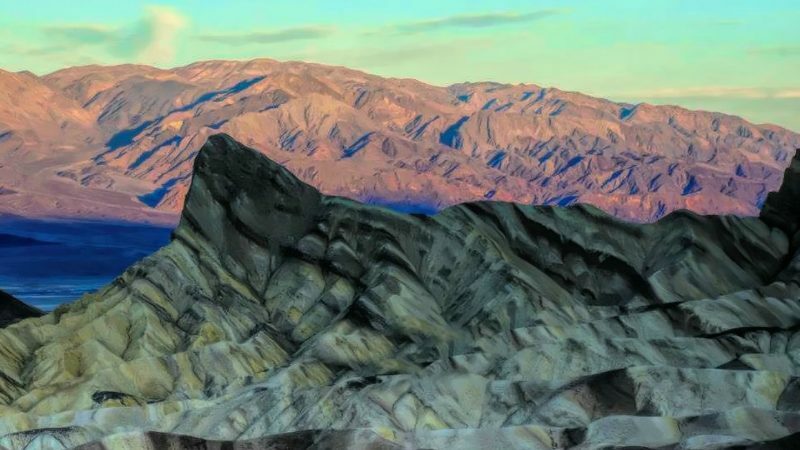 See what awaits you at this seemingly unforgiving land with these 9 best things to do in Death Valley National Park. While there are plenty of things to do in Death Valley National Park, you must be prepared. I did not know HOT until I visited this park! Day temperatures during my visit, at the end of September, were unbearable – up to 115 F. At night, it would not get much better. The grounds were giving back the heat accumulated during the day, which stayed trapped in the basin. Only early mornings brought lower temperatures. With some adjustment to my sleeping routine, I still very much enjoyed my visit. Read on for my top 9 best things to do in Death Valley National Park. The visitor center is located in the Furnace Creek resort area on California Highway 190. Operating hours are 8 AM to 5 PM daily. A 20-minute park film is shown throughout the day. 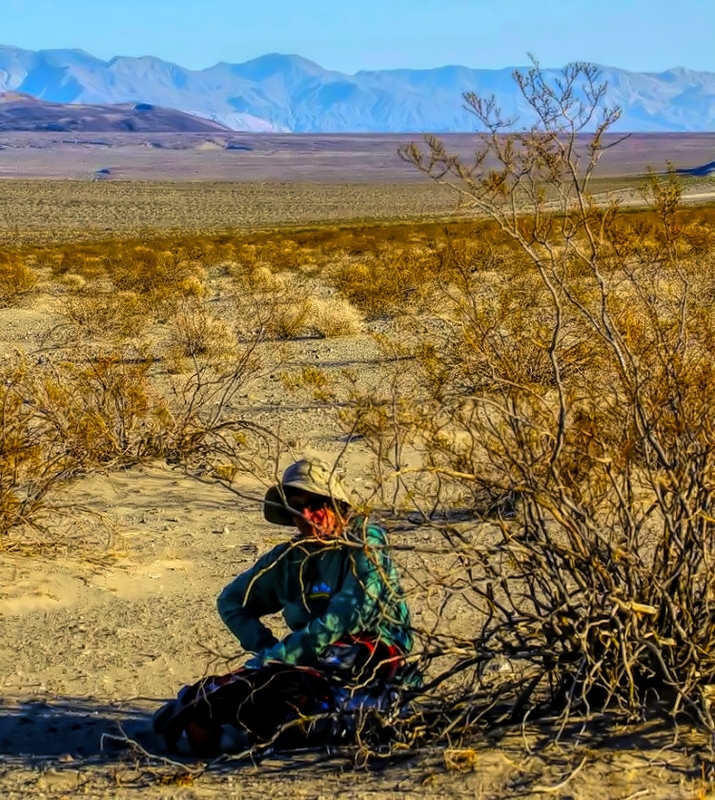 During the winter season, November to April, rangers present a wide variety of walks, talks, and slide presentations about Death Valley’s cultural and natural history. 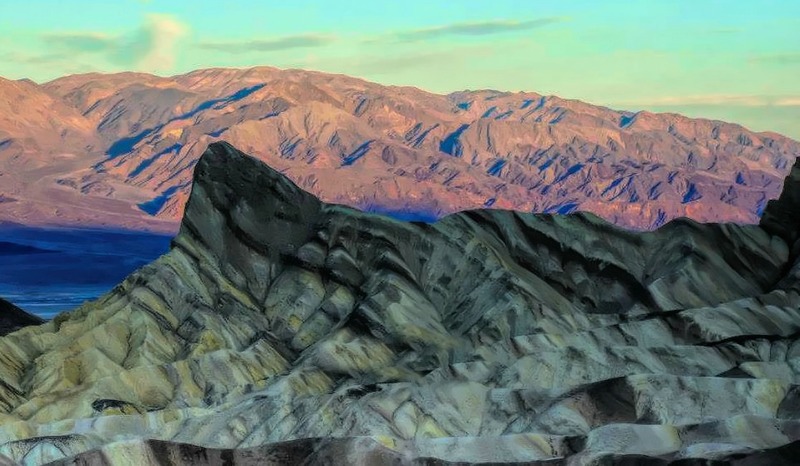 The most photographed attraction in Death Valley, Zabriskie Point, is a sunrise and sunset destination. During that times is overtaken by photographers. I witnessed the sunrise. During the earth’s waking, a beautiful picture was painted with light right in front of my eyes. 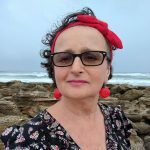 Spectacular experience! 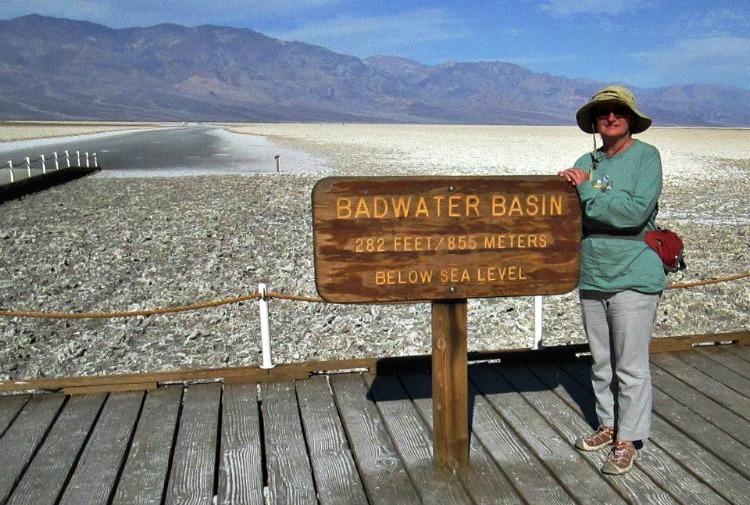 Find the second lowest point in the Western Hemisphere at Badwater Basin, which is 282 feet (86 m) below sea level. From the parking lot, view the sea level sign located 280 feet above you on the adjacent mountain. It really puts in perspective how low you stand. There are some parts of the park to be enjoyed even during the heat of summer. One of them is Artist Drive. 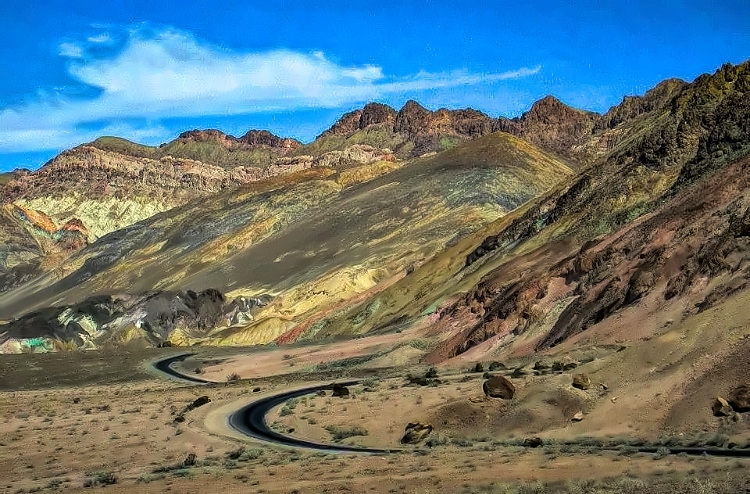 This one-way loop cuts through colorful mountain scenery. Take advantage of the many pullovers to shoot photos or take a short hike. Located in Stovepipe Wells Village, 30 minutes (24 mi/39 km) west of Furnace Creek, this is not your usual hike. There is no formal trail. You will be walking in deep sand with an elevation gain of 185 ft (65 m). 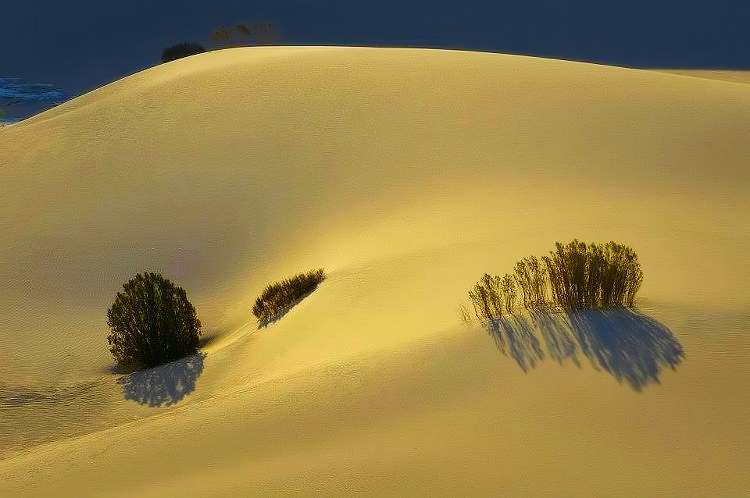 The summit of the high dune is 1 mile (1.6 km) away. 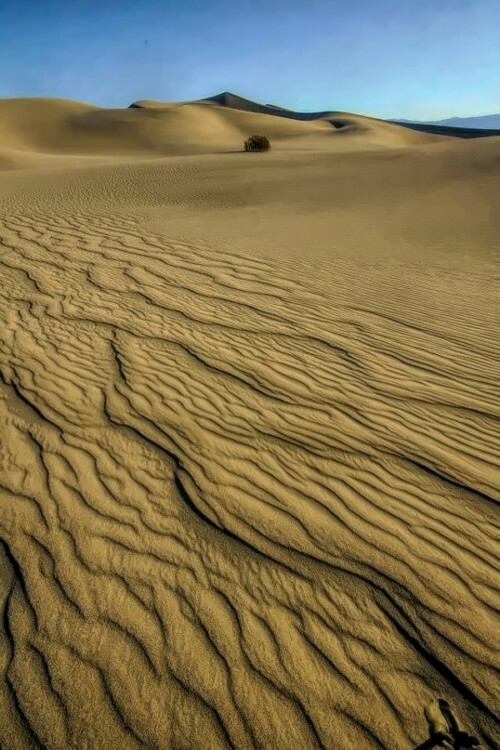 Of the seven sets of sand dunes in Death Valley, these are the most famous and easily accessible. For spectacular views, visit at sunrise. 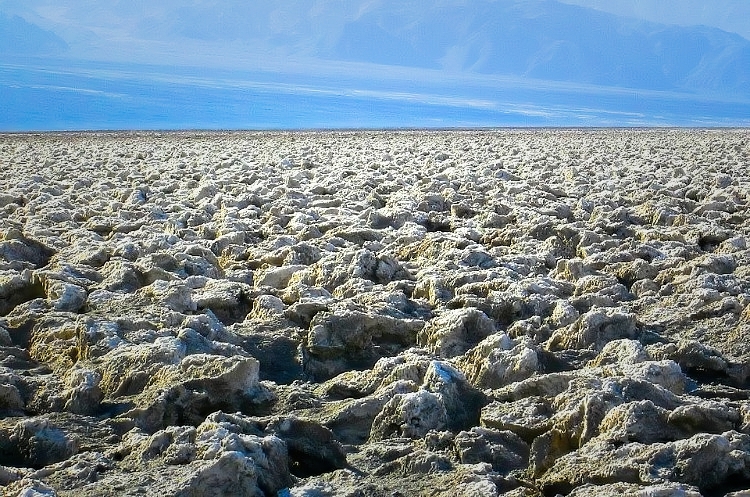 Devil’s Golf Course is accessible via a half-mile dirt road that you should be able to drive with most cars. It is made up of large salt formations creating the barren landscape for as far as the eye can see, so incredibly serrated that “only the devil could play golf on such rough links.” Do not wear flip-flops! This 2.7 mi (4.3 km) one-way loop drive, located 15 minutes east (5.5 mi / 8.8 km) of Furnace Creek off of CA 190, is unpaved but typically passable to a sedan. You will be winding through space-like scenery. At 5,475 ft (1,669 m), it is the most breathtaking view point in the park. Facing west, the view of the Panamint Mountains towering over the lowest point (-282ft / 86m) in North America (Badwater Basin) offers one of the best sunrises in the park. 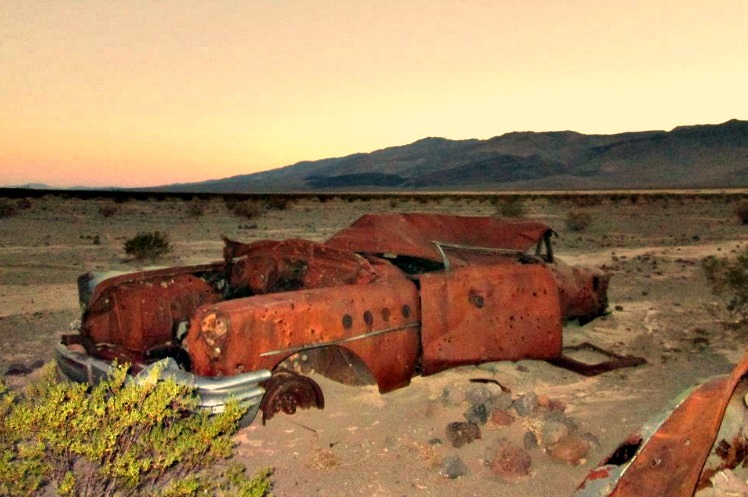 There is a lot to do in Death Valley National Park but chose your off the beaten path adventures wisely. Tell someone where you are going. Think of what your body is capable of and always carry a lot of water, food and extra clothes. I was traveling with a person who would let himself get killed for a good photo. He was determined to take a sunset photo of some remote dunes. That required taking a dirt road to get the trailhead, eight miles one way. The road was easy to navigate, but soon it became a little scary. We spotted two rusted cars with multiple bullet holes in them. My imagination went wild. We did not meet a single soul on that road. The path ended at the so-called trailhead. Nothing even remotely looked like a trail. Just dirt, few anemic shrubs, and the dunes far in a distant, at least two miles away. The thermometer was showing 106 F.
Against my better judgment, I agreed to the hike. After a while on the “trail,” I turned around and realized that we could no longer see the car or any other marker which would help us navigate back. It was so hot I could not breathe. I felt like my heart was going to explode. No one knew where we went. No phone reception and no trail. I knew I could not make it alive if I continued. I quit! Somehow we returned to the car before it got dark. Death Valley National Park offers things to do all year but if possible try to avoid May through September due to extreme heat. Springtime, with its warm and sunny days, is the most popular time to visit. If you are lucky, the basin may burst into a beautiful carpet of wildflowers. Fall arrives in late October, with pleasant temperatures and generally clear skies. Winter has cool days, chilly nights and rarely rainstorms. With snow capping the high peaks, this season is especially picturesque. I stayed at Furnace Creek Resort situated in a lush oasis where everything is in one place to serve visitors. Choose from restaurants, pool, playground, and two types of lodging – one on a budget and one more upscale. My accommodation was basic, but honestly, all I cared about was properly functioning air conditioning. I strongly recommend to make a reservation any time of year, simply because with the park’s remote location, there is no plan B.